If you’ve just ordered your first hearing aids, you may feel a bit apprehensive about starting to use them on a daily basis. After all, this can feel like a large expense! However, this is an opportunity to really invest in your health and your future, and we know you’ll be delighted that you’ve taken the leap towards better hearing, greater confidence and more fun. Give yourself time to adjust. The time it takes to adjust to wearing hearing aids will be different for everyone, and will depend upon how long you have had hearing loss before seeking help. If your hearing organs have been missing sounds for a long time, it may take longer for your brain and your auditory system to begin communicating again. Be patient and allow yourself plenty of time to adjust to your new hearing aids, and accept that they are unlikely to be perfect from the outset. Be realistic. Many people are surprised to find that hearing aids are not a comprehensive solution to hearing loss, and that it is very likely that you will still need to use strategies to help you cope. It can be more difficult to use hearing aids when there is a lot of background noise, for example, and this can mean that social situations are more challenging for you. Practice. Learning to handle any new equipment can be tricky, and hearing aids are often complicated to begin with. Practice operating your devices carefully at home, and build up to more challenging outings with your hearing aids in place. You can use helpful apps and online tools to practice picking out sounds in different environments to make this process easier. Take care of them. Looking after your hearing aids correctly will mean that you are less likely to damage or lose them, and will extend their life. 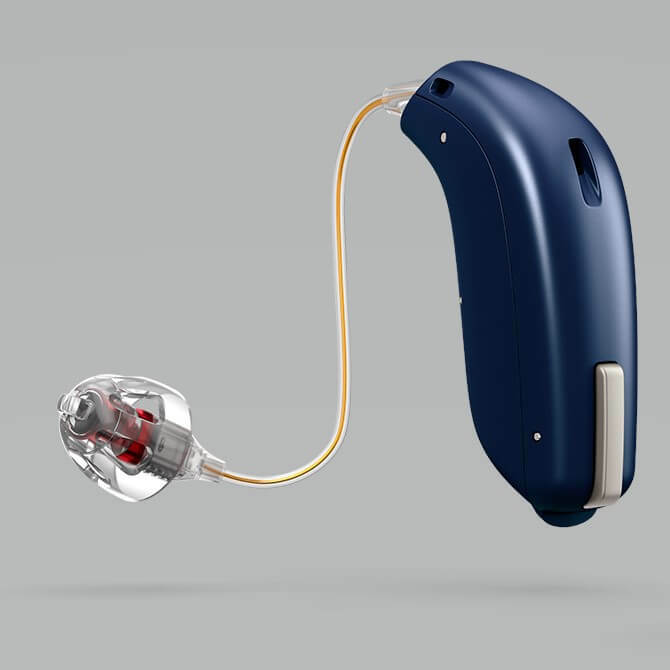 Our team will talk you through the daily care of your hearing aids, and you will soon find that it becomes second nature to look after them well. Make the most of them. If you have hearing loss, hearing aids can help you to live a fun and fulfilling life, whatever you want to do. If you have special interests such as watersports or intense exercise, you may find that our audiologists can recommend the best solutions to suit you. Here at Hidden Hearing, we pride ourselves on finding the best solution for everyone and we have a great range of digital hearing aids which are discreet and effective. Hidden Hearing is Northern Ireland’s leading private provider of hearing care solutions, and our national network includes 14 branches and clinics. Contact Hidden Hearing online today, or pop into your local branch.